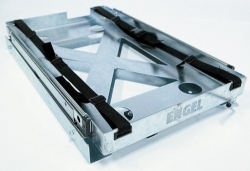 A strong low profile steel slides allowing easy access to your Engel freezer in confined spaces. Webbing (included) attach your freezer securely to the slide. 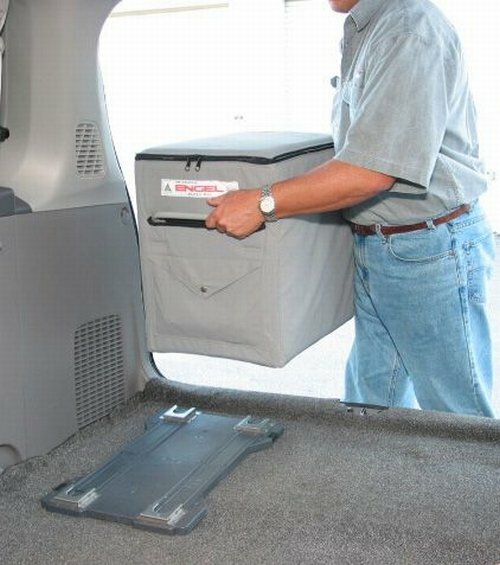 Safety latch - locks tray in or out, for safe storage. Tough enough for off-road vehicles. 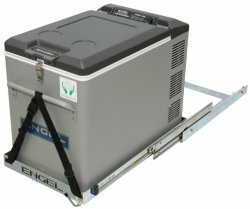 Slide can also be used for generators.